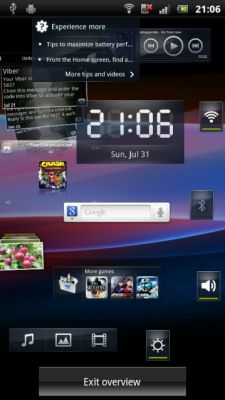 A new home launcher for android from Sony Ericsson has been leaked. 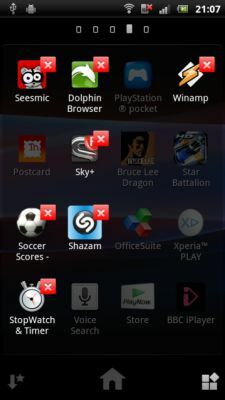 The new launcher will be seen in upcoming SE devices such as the Xperia Ray. Although not a complete overhaul from the current launcher found in SE android phones, there are some cool changes to check out. Firstly, there is a new Theme feature that we can only assume lets you skin the launcher (and phone UI) . This isn't active in the leak so that's just a smart guess at the moment. There are visual changes to the app drawer and view of widgets too, you can be the judge of how nice that is though (I sort ofÂ likeÂ it). Along with that is the option to directly uninstall apps from within the app drawer, a feature many 3rd party launchers have and something that many find very useful. The new launcher is confirmed working on the X10, Arc and PLAY thus far. If you want to give it a try download the apk from here and install to your device!